Air Hogs Mission Control Augmented Reality Drone is bringing AR, video gaming and drones to flight. Ed Note: This is part of our "In The Sandbox" series, where we invite teens to test and review connected toys, giving their perspective of what's fun to them—and what works. What do you think about a toy for teens that weaves augmented reality into a video game, all while flying a drone? That's the idea behind Air Hog's Connect Mission Drone with augmented reality. It's the first physical toy you can play in augmented reality with an immersive 3D video game, combining a gaming platform with real-world control action. 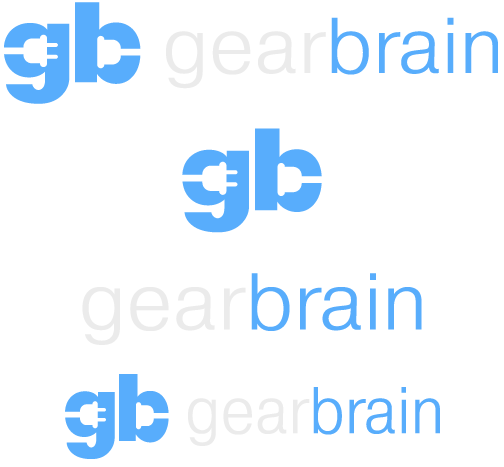 Here is GearBrain's review. Our Air Hog Mission Control Drone came in a nice carry case. The drone is made of styrofoam so we could fly it inside the house. The first thing we did was start charging the drone, while we downloaded the Air Hog Mission Control app. The app is available for both iOS and Android devices. If you are using iOS devices, you need to have an iPad Mini 2 or greater, iPad Air 1 and 2, iPad Pro, iPhone 5S or greater, iPod touch 6G and greater and iOS devices with a minimum OS of 10.o to be compatible. If Android, you need to have Galaxy S4, S6, S7, Note 5 Tab S2 Nook, LG G3 and Android devices with a minimum OS of 5.0 (Lollipop) to be compatible. We tried playing with non-compatible devices and it was a horrible experience. Once our drone was powered, and the Mission Control app downloaded, we begun the pairing process. We had some issues at first pairing the drone to our device, which connects via Bluetooth. But once the drone was linked, we started off with a training run in the app. We recommend selecting the training run, as it shows you how the controls work and gives directions on the game. It was very helpful. I had a tough time using the controls with my Android smartphone. My fingers kept covering the camera, and I had difficulty using the direction control with my right thumb. The drone was not responding all the time. When I went back to the directions, they were not very helpful, particularly in getting the drone to move side-to-side and back-and-forth. When I went to play the game, I had a hard time keeping the drone hovering over the mat. Instead, the drone would fly off the mat. When I did keep the drone hovering on the mat, the game graphics were okay. But, the game was not on the same level as my Xbox games. Those games have better graphics. The game has multiple levels for you to achieve, but I had a hard time getting through just the first level. I wished the Mission Drone could do more than be part of an augmented reality game. I would like to learn how to fly a drone or have the app teach us how to fly one. My brothers and I would also like if you could have more than one drone flying at a time, whether it be in the game or just flying around. Overall, this game is similar to my Anki Overdrive (race cars) but that game I can play with my friends at the same time. Game and flying the drone is better on a larger screen. Would recommend using a tablet instead of a smartphone. Battery life: the battery on the drone lasted about 30 minutes and took about 60 minutes to power up. Drone drained our cellphone battery. Like most augmented reality and virtual reality apps, 30 minutes of flying drain almost our entire battery life. Augmented reality graphics were good but would have liked to see the real drone flying instead of a graphic of the drone. Our Sandbox team consisted of children ages 3, 8 and 10 and each flew the drone. The 3 year old flew the best and scored the best. Drone Needs a charge notification on the screen is not easy to find. It might have been because we used mostly a smartphone, but think this should be more easily visible. Price: we feel the price is a little high. The game cost $149.99 (but available on Amazon now for $145.) It's the same cost as Anki Overdrive ($149.99 on their site) but that game was a lot easier to use. If we could learn how to fly a drone as well as play an augmented reality game, we would be more interested in Air Hog's Connect Mission Drone. 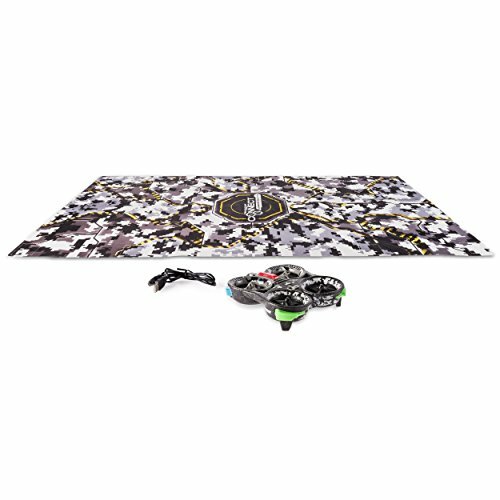 The Air Hog Connect Mission Drone is available at Amazon, Barnes & Noble, ThinkGeek, HobbyTown, Boeing Store and Game Stop. GearBrain likes where Air Hogs Connect is going with Mission Drone but would like see a few improvements. The compatibility of the game needs to be increased. There are still many consumers who have older tablets and smartphones that might want to buy this game and drone. Requiring users have devices that can run OS 10 is not as much of an issue as how few devices actually work with the drone. Air Hogs should consider broadening this list if possible. In addition, we think using the app to teach kids how to fly drones—without the augmented reality game—is a good idea. Since it was hard for our Sandbox team (especially the 10-year-old) to fly the drone, teaching them how to fly first might increase usage. Lastly, if Air Hogs were teach users how to fly a drone as an add-on to the augmented reality video game, this could make the toy more attractive to teens, their parents and/or other potential buyers. For instance, an Xbox game costs roughly $65 and a separate mini drone, like Aerix Vidus, costs about $95. The combined cost is $160. At $149.99, Mission Drone is less expensive, but it isn't packaged as a learning toy that could help users learn to fly. Offering this option might help Air Hogs Connect Mission Drone take off and reach new heights. 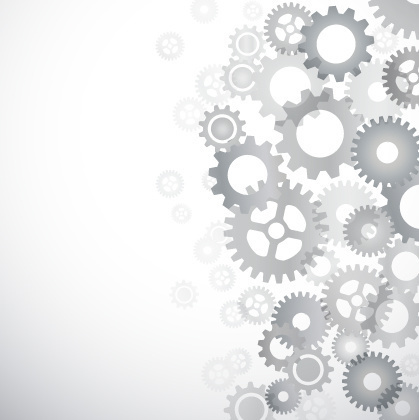 GearBrain's "In the Sandbox" series is made up of teen reviewers who review products and provide their input on what they like and don't like. For this article, Danny Sullivan and his brothers Ryan and TJ assisted us in testing Air Hogs Connect Mission Drone.